The Motorola Milestone XT720 is a state of the art phone released by motorola. The Motorola XT720 has an 8 megapixel digital camera with xenon flash, a standard 3.5 mm headphone jack, interchangeable battery, 3.7 inch 854×480 px multi-touch capacitive touchscreen display. It also includes microSDHC support with bundled 8 GB card. Also is also built with Gorilla Glass resistant coating. 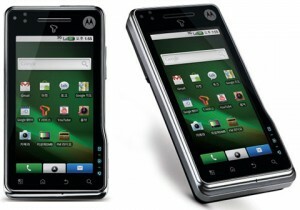 Cellunlocker.net is proud to announce we can remotely unlock the Motorola Milestone XT720 fast and easy. We can Unlock your Motorola Milestone XT720 in Minutes! Cellunlocker.net is proud to announce we can Unlock the Motorola Milestone to any GSM Network fast and easy! Once you unlock your Motorola Milestone XT720 Phone, you can change to any GSM Carrier. * There is absolutely no risk of damaging your Motorola Milestone by unlocking it. UNLOCK MY MOTOROLA MILESTONE XT720 NOW!